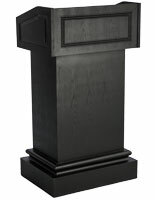 This half-circle lectern with a sophisticated veneer finish is an ideal stand for any professional or executive presentation. 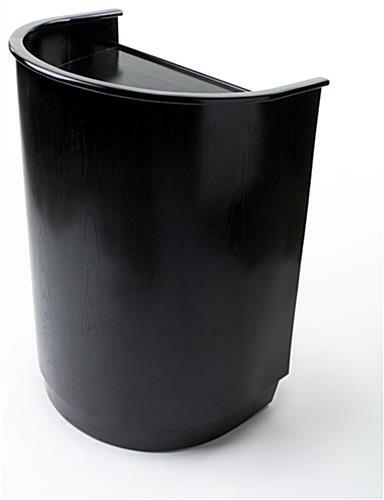 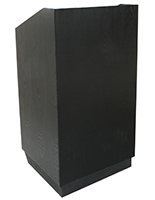 These stylish portable round design podiums have a black veneer finish over plywood and have a curved front, giving them a sophisticated and polished look that will complement any environment. 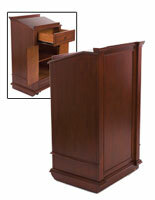 This semi-circle lectern has (2) hidden wheels that allow these stands to be moved when needed. 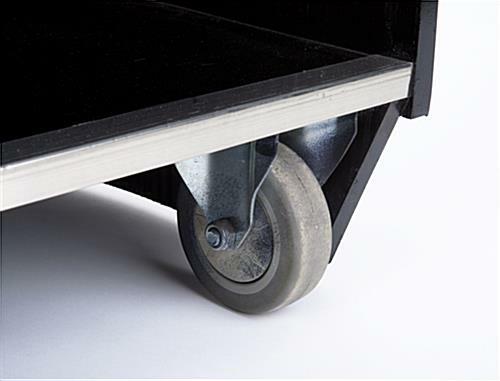 These casters lock to ensure the stability of the reading stand when in use. 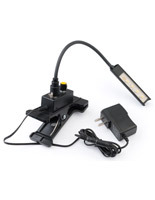 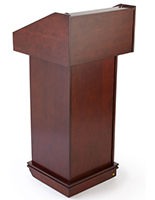 This speech podium also include adjustable foot levelers to ensure stability on slightly uneven ground. 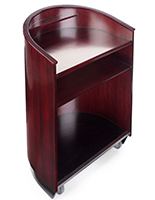 This 47.5" tall mobile lectern stand is constructed using quality material and features two open-face internal shelves to store speech or sermon notes as well as any other presentation materials. 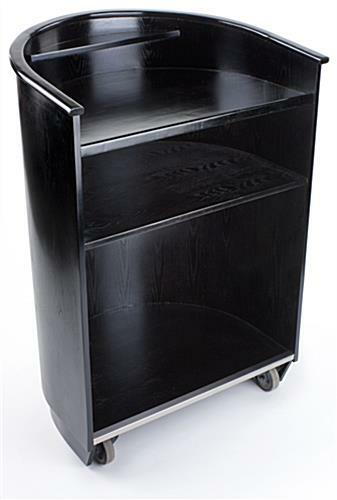 This rolling podium with black veneered finish is ideal for public speaking in corporate environments, shared conference facilities, schools, houses of worship, as well as trade shows or other promotional events. 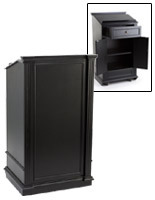 The 9" deep recessed flat top is large enough to conceal a laptop, tablet, printed notes or other presentation materials, or reading sources. 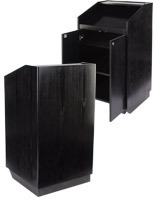 The durable curved-front plywood construction is covered with real wood veneer and finished in a rich black color to complement any decor. 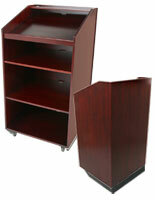 32.5" x 47.5" x 24.3"